WaiverForever is an electronic waiver system suitable for small businesses within a variety of industries which enables users to digitally sign waivers, and create custom forms for consents, agreements, registrations, indemnity, and more. Users can turn their smartphones and tablets into waiver signing stations, and all signed documents are securely saved in their online account. The intelligent search tool enables users to quickly find signed waivers or customer information. 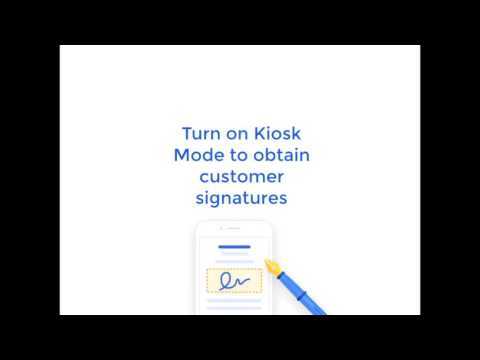 With WaiverForever, businesses can set up iOS, Android, or Amazon smartphones and tablets as kiosks for customers to sign waivers, include the waiver link on their website, or provide the link to customers in an email, allowing them to sign the document using a keyboard and a mouse. No internet connection is required when signing documents using the WaiverForever mobile app, and all signed documents are uploaded and synced automatically to the user’s online account whenever the device is reconnected. Users can also sync with third party document storage systems such as Dropbox or Google Drive to have a local copy of all waivers and have them delivered to their desktop automatically at the end of every month. All waivers and documents can be customized and tailored to business needs. Signed waivers are converted to PDF files instantly, and a copy can be downloaded for future reference, or exported into a CSV file. In order to find any signed waivers, users can search for a customer's name, phone number or email, and download their waiver as a PDF. WaiverForever provides companies with instant insights to help users get a better understanding of their customers behavior with built-in analytics and visual interactive data. WaiverForever integrates with membership management software such as Mindbody Online, Zendesk and JackRabbit to facilitate with the filling of lengthy forms when creating a new customer. Users can also automatically add customers to their MailChimp or Constant Contact list for email marketing. We have had a great experience with waiver forever. We have not needed to reach out to customer service to problem solve any issues. We are happy with what waiver forever has added to our business.It was very easy to set up our release form. It work's every time and insures we get all the information we need from our clients in the format we need it. The release looks professional and helps keep our business look up to date. It was very easy to set up our release form. It work's every time and insures we get all the information we need from our clients in the format we need it. The release looks professional and helps keep our business look up to date. I wish that the id scanning feature would tell you if the client is over 18 or 21 years of age automatically and verify that in a field below. I also wish the photo function would open the camera with the rear facing camera instead of the selfie camera. I also wish the camera had better focusing abilities. I do think that this software was a pay once for the license instead of a monthly paid service. Thanks for the reviews, we are glad to have you using our product. We are working on improve our scanning experience. One question you mentioned is not able to use the n the camera with the rear facing: We support the camera facing or without facing you, you might turn on the "Scan with front camera" feature in Kiosk Settings which makes your only using the front camera. You could go Kiosk settings to double check to turn this feature off. Thanks again for supporting us, if you have any problems, just leave msgs through intercom, we are glad to help you! I've been using waiver forever for several years now and wouldn't go back to paper waivers ever. The digital archive keeps my member information secure. The ease of setting up my waivers was astounding. I created waivers for different events as needed. My attendees complete the waiver on my iPad and they get a copy and I get a copy. Couldn't be easier. The ease of setting up my waivers was astounding. I created waivers for different events as needed. My attendees complete the waiver on my iPad and they get a copy and I get a copy. Couldn't be easier. I pull up my waivers from the website and use the information to create an attendance roster. When an event has more than 10 waivers, they don't show on that list and there is no way to download the signed waivers until the monthly archive. Customer support was a great help though and I quickly found all the signed waivers on the iPad (device used) and retrieved the information needed. Thanks for your review, We are glad that you leave your concerns here. For the problem you mentioned that you could only view 10 past waivers, you might view that on My Customer page which is not the right place to view all the waivers. You could view all the waivers, customers information on Template page, under Recently signed tab. Also we launched the universal search that you could search any information to grab the related waivers( tags, names, fields, notes, etc). My Customer page is under development now, we will soon launch a brand new page to better manage all your customers. Thanks again for supporting us, if you have any problems, feel free to leave msgs through intercom, we are glad to help you! Easiest way to track your customers and database. We are realizing using it as a marketing tool is beneficial. It is also very easy for our customers to walk in and use quickly. We feel at ease that everything is stored and easily accessible. We really appreciate the simplistic approach to storing a mass amount of information for our customer base.This software eliminates your paper collection and keeps everything neat and organized that is needed to be an effective business owner to our customer base. It allows us to keep track of who is using our facility and how they heard about our business, which is a great marketing tool as well. It is also nice to have a mobile app and the ability to put it on I pad systems to use as an addition to our main computer. This software eliminates your paper collection and keeps everything neat and organized that is needed to be an effective business owner to our customer base. It allows us to keep track of who is using our facility and how they heard about our business, which is a great marketing tool as well. It is also nice to have a mobile app and the ability to put it on I pad systems to use as an addition to our main computer. The only thing that was a little bit of a learning curve for us was setting up additional templates. After a little practice it did become easier. Best thing I’ve ever signed up for! It’s been the greatest thing we signed up for. Even other business owners have asked me how to use it and I always send the info over to them. It’s always feels like a bit of a hassle when you start something new because it’s time consuming to make your own custom waiver forms, but once it’s done it’s SUCH A GAME CHANGER!! I love that this lets me COMPLETELY customize everything as well as where to put the clients signature and even a photo of important documents. It gets rid of all the clutter from filing papers and NEVER being able to find it. With Waiver Forever it’s so easy to pull up a waiver form previously signed and it keeps it in a secure place for us. I love that this lets me COMPLETELY customize everything as well as where to put the clients signature and even a photo of important documents. It gets rid of all the clutter from filing papers and NEVER being able to find it. With Waiver Forever it’s so easy to pull up a waiver form previously signed and it keeps it in a secure place for us. It’s just time consuming in the beginning to customize your own forms, but once you are set it’s just SO convenient. I ran a bicycle rental company that also provided tours. We used different waivers for different services and WaiverForever made this a very simple and green solution to our company's needs.Waiver Forever allowed my company to stop collecting boxes and boxes of paperwork. In the two years before I started using this for my business we ended up with 8 large boxes full of waivers. If we had continued in that direction it would have taken an extra storage unit to hold everything. Go Green! Waiver Forever allowed my company to stop collecting boxes and boxes of paperwork. In the two years before I started using this for my business we ended up with 8 large boxes full of waivers. If we had continued in that direction it would have taken an extra storage unit to hold everything. Go Green! Nothing. It was very easy to embed in my website. It was a breeze to create multiple waivers and switch between them. And it was all of the effort of pushing a button to send waivers to clients. WaiverForever provides different monthly or yearly plans according to specific needs. Pricing is based on the number of paired devices and amount of waiver templates. WaiverForever supports signing on both iOS and Android devices, even when offline. Once connected to the internet, all captured waivers are synced to the cloud. Organizations can put the waiver link on their website, or provide the link to customers in an email to sign from browsers on computers. All WaiverForever client apps come with the driver's license scanning feature. Users can place the bar code on the driver's license in front of the camera and WaiverForever automatically fills in the customer's personal information. Request waivers directly from groups and WaiverForever will generate a special link and keep track of how many have signed, allowing users to handle group reservations remotely. With real-time analysis tools, WaiverForever helps users to better understand their customers' behavior with visual interactive data. Below are some frequently asked questions for WaiverForever. Q. What type of pricing plans does WaiverForever offer? Q. Who are the typical users of WaiverForever? Q. What languages does WaiverForever support? Q. Does WaiverForever support mobile devices? Q. Does WaiverForever offer an API? Yes, WaiverForever has an API available for use. Q. What other apps does WaiverForever integrate with? Q. What level of support does WaiverForever offer?